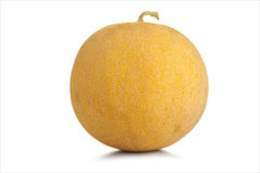 The relatively neutral pH values of most melons make them susceptible to spoilage by fungi. Watermelons sometimes develop anthracnose from Colletotrichum lagenarium, Pink Colletotrichum conidia may become visible, if humidity remains high. Cantaloupes and rock melons may be affected by several different diseases, the most important being Alternaria rot due to Alt. alternata.. Cladosporium species can also invade melons through the stem scar, forming a rot similar to that caused by Alternaria. Several Fusarium species can invade melons, especially when storage temperatures are high or storage periods become excessive. Penicillium species may also occasionally cause problems under these conditions. Natasan™ has been shown useful for the treatment of fungus in melons.